With all respect to your privacy, we require no personal information when visiting StripBlackjackGames.com. Nevertheless, if in the course of either a product-related inquiry or in the course of a transaction on the Site the information you provide is protected from unauthorised access and you will be informed of how the information is used. The statement below explains the information practices on the Site. The Statement covers all the areas of StripBlackjackGames.com located at StripBlackjackGames.com (the Site). 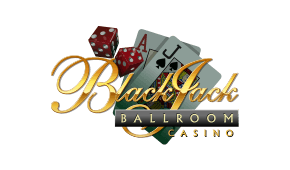 The information that has been received according to information collection practices of the Site is the information provided by individuals to StripBlackjackGames.com, which is outside of the trade, business or profession of the individuals (the Information). Tracking Information is collected by the web server logs and cookies. Web server logs collect data on activity of the web site. A cookie is a parcel of information used for tracking, authentificating and maintaining particular information about the Site users (site preferences etc.). StripBlackjackGames.com tracks repeat visits to the Site with the help of cookies. Visitor's computer is assigned a cookie, without collecting any personal information about the user of the computer, unless specifically provided by the user himself on voluntarily basis. By Personal Information we imply user's name, e-mail address and also extra information that is not obligatory. Personal Information can be gathered on some Site pages in case the visitor wishes to ask StripBlackjackGames.com a question online, when downloading the software, placing an order for subscription. The Information provided to the Site is used for providing the users with new StripBlackjackGames.com services and/or promotions that we consider interesting to the user. The Information can be shared within the employees, agents, independent contractors or other StripBlackjackGames.com related/unrelated entities and/or business partners which are acting on behalf of the Site with a view of fulfilling and/or shipping an order, rebate or award. Personal information shall not be shared with non- StripBlackjackGames.com sites, unless considered necessary as when completing your transaction. StripBlackjackGames.com holds no responsibility for privacy policies of other sites, and leaves it the subject to their agreement to treat the personal information as a confidential business information with understanding that it can and may not be used for other purposes other than to perform their specific and direct function. Personal Information may be revealed when necessary to comply with law, or we in good faith find the action necessary, i.e. to enforce or apply the Terms and Conditions, to protect the rights, safety or property of StripBlackjackGames.com. StripBlackjackGames.com does not exclude the possibility of buying/selling our/other companies' assets in the course of time. The transactions of a kind view visitors' personal information as a business asset only. In addition, information can be transferred in case or when StripBlackjackGames.com or all of its assets are bought out or subject to liquidation in bankruptcy. Nevertheless, due to the fact that no data can be totally free on the Internet, we can not guarantee that any information submitted to us will be totally secure and safe. Users provide the information at their own risk. StripBlackjackGames.com constantly assesses and evaluates the abilities of new technologies in providing the additional protection of the information. The Personal Information provided to us shall not be used or shared unless otherwise provided in the following Statement. In case you no longer wish to receive the information from StripBlackjackGames.com, please click here to unsubscribe. StripBlackjackGames.com holds and reserves the right to amend this Statement at any time. Changes shall be effective right upon posting on the Site. Last updated on February 24, 2009. There were No changes made to the substance of this Statement.